Engineers at the University of California San Diego have developed bio mimetic bone tissues that could one day provide new bone marrow for patients needing transplants. 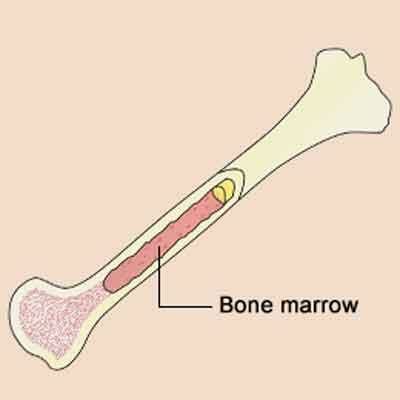 Bone marrow transplants are used to treat patients with bone marrow disease. Before a transplant, a patient is first given doses of radiation, sometimes in combination with drugs, to kill off any existing stem cells in the patient’s bone marrow. This pre-treatment is meant to improve success of the transplant by clearing up space in the marrow, allowing donor cells to survive and grow without competition from the patient’s own cells. But this treatment often comes with harmful side effects, such as nausea, fatigue, loss of fertility and others. To address these issues, a team led by bioengineering professor Shyni Varghese at the UC San Diego Jacobs School of Engineering has developed a bone-like implant that gives donor cells their own space to live and grow without competition, eliminating the need to wipe out the host’s pre-existing cells. “We’ve made an accessory bone that can separately accommodate donor cells. This way, we can keep the host cells and bypass irradiation,” Varghese said. Researchers developed bone tissues with functional bone marrow that can be filled with donor cells and implanted under the skin of mice. The donor cells survived for at least six months and supplied the mice with new blood cells. Varghese and her team published their work in PNAS. “In the future, our work could contribute to improved therapies for bone marrow disease,” said Yu-Ru (Vernon) Shih, a research scientist in Varghese’s lab and the study’s first author. Varghese cautions that these implants would be limited to patients with non-malignant bone marrow diseases, where there aren’t any cancerous cells that need to be eliminated. Examples include aplastic anemia, in which the body can’t make enough platelets and blood cells, as well as low blood counts and immune attack of the bone marrow caused by defective or abnormal bone marrow stem cells. The implants mimic the structure of long bones in the body, consisting of an outer bone compartment and an inner marrow compartment. The implants are made of a porous hydrogel matrix. The outer matrix contains calcium phosphate minerals. Stem cells grown in this mineralized matrix differentiate into bone-building cells. The inner matrix houses donor stem cells that produce blood cells. When implanted beneath the skin of mice, the structures matured into bone tissues that have a working blood vessel network and a bone marrow inside that supplies new blood cells. After four weeks, researchers found that the implanted marrow contained a mix of host and donor blood cells. They also found this mix circulating in the bloodstream of these mice even after 24 weeks. According to researchers, these findings are significant because they indicate that: the implanted marrow is functional; donor cells can grow and survive for long time periods in the presence of host cells; and that host and donor cells can travel between the implanted marrow and the host’s circulating blood via the blood vessel network formed in the implanted bone tissue. In another set of experiments, researchers took stem cells from the implanted marrow and transplanted them into a second group of mice that had their marrow stem cells destroyed by radiation and drugs. They found that the transplanted cells had diffused into the bloodstream of these mice. “We did these experiments to show that the bone marrow cells from the engineered bone tissues function similar to native bone,” Shih said. “We’re working on making this a platform to generate more bone marrow stem cells. That would have useful applications for cell transplantations in the clinic,” Varghese said.